Gutters - Volpe Enterprises, Inc.
Gutters play an integral role in protecting your home. 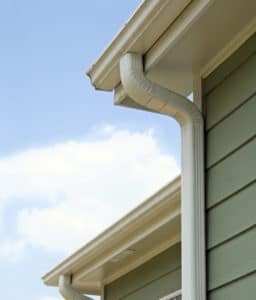 A good good gutter system collects water that lands on the roof and directs it away from the house and prevents damage to the structure of your home, foundation, driveway, and sidewalk. Volpe Enterprises, Inc. has implemented both small and large-scale gutter projects in Pennsylvania and New Jersey since 1970. Volpe provides gutter inspections, replacements and repairs for your home or business. Volpe Enterprises fabricates their standard aluminum gutters on-site using premium grade aluminum. You can choose from an array of 20+ colors to match your specific accent color on your home.